Warm, friendly and approachable, Todd takes the time to listen and understand his client’s individual needs in order to provide professional and personalised service and advice. As a well regarded member of the local community, Todd’s understanding of the area is paramount, this together with his fluent Mandarin has enabled him to assist in planning projects and developments that cater to the local market demographics and requirements. Energetic, hardworking and an excellent communicator, Todd brings together his passion for the industry and his excellent negotiation skills to ensure you have a positive sales experience with minimal stress. Leaving no stone unturned in his drive to achieve the very best results for his client’s every time, Todd values the relationships he builds with his clients and is encouraged by the many referrals he receives. To discuss your next development, project and sale, call Todd today. “Incredibly enthusiastic, knowledgeable and friendly” are just a few words used by Tony’s clients to describe his approach and commitment to his every client. As a fully Licensed Estate Agent, Tony prides himself on providing a personalised approach to every sale, working directly with his clients to implement innovative marketing campaigns to achieve outstanding results each and every time. Blending his excellent communication and negotiation skills with his ability to speak fluent Mandarin, Tony can effectively converse with both buyers and sellers to provide quality sales advice in order to maximise interest and results. Loyal, enthusiastic and dedicated to delivering excellent service, Tony’s boundless energy, persistence and exemplary attention to detail have helped him to built an extraordinary career where he has become well respected within the industry. To experience his friendly and professional service, call Tony to discuss your property needs today. Prior to joining Harcourts, Angelina brings to the team her wealth of knowledge and experience in real estate, having been a real estate agent in Hong Kong and China for over ten years before coming over to Australia. Her extensive experience in handling the Asian clientele along with her large database of buyers and overseas connections she has built over the years provides her with a distinct advantage when negotiating with her clients. Angelina's positive work ethic, together with her friendly nature helps her quickly establish relationships with her clients and she looks forward to assisting you on your next transaction. With a strong banking and finance background, Carol makes her move to join with Harcourts Oakleigh office in 2017, which is a great platform to get into the local real estate market. As she said, ''Helping the clients to own their dream homes is of great pleasure and fulfillment to me.'' With the client's interests at heart and a great passion for the property industry, Carol has just tried her every effort to assist the clients getting their dream homes by a high level of professional knowledge and negotiation skills. Besides, Carol is an easygoing and energetic person, and always cheer up the people around. She is also highly skilled in areas of customer services and problem solving due to her previous sales associates job in the off-plan market. Because of her strong work ethic, she keeps working until the best possible result has been achieved. As a new member of the Harcourts family, Carol has appreciated the huge support that she received from the company. Away from the tight daily work schedule, Carol loves to go hiking, singing, and enjoys spending time with her family and friends at her spare time. Driven by her strong desire to not only meet her client’s needs but to exceed them, Elsa found her passion in Real Estate industry. Where she has been able to utilize her excellent bi-lingual communication skills to entice buyers and achieve outstanding results for her client’s. Moving from Tianjin, China to Australia as an enthusiastic sales person, Elsa has been staying in Australia for 12 years. Her extensive knowledge of both Chinese and Australian Culture guaranteed the success of every property campaign. As an avid contributor to the local community and a lover of the outdoors, Elsa can often be seen enjoying a stroll around the neighbourhood. Where she would be more than happy to stop for a chat or discuss any real estate queries you may have. Alternatively, to experience her friendly and professional service, just call her on 0422 042 709 to discuss your property needs today. Heng is a well known and respected member in the community! He grew up in the South Eastern Suburbs and he is tri-lingual, in English and Thai in addition to his native Khmer. 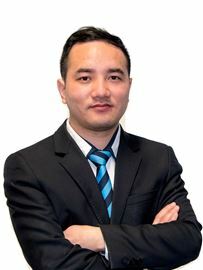 Heng has a thorough knowledge of the Springvale, Keysborough, Noble Park and surrounding areas backed up by a deep understanding of the market and a wealth of experience obtained from 25 years of owning and operating his own business in the Travel, Retail and Hospitality industry. Heng adds value to every sale whether it be a studio, residential or commercial property and is known for his strong work ethic and caring nature with a down to earth consultative approach to buying and selling real estate. Heng’s goal is to achieve the most outstanding result for his clients!! Utilising his skill and expertise, he is here to guide, advise, negotiate inform and ultimately achieve your objective: a successful property transaction!! 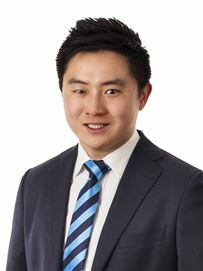 In his own words, Heng feels privilege to be selling real estate in one of the best city in the world and to be meeting some amazing people along the way!! Every so often you encounter people like Keith Chan, who've found their professional niche and enjoy their work immensely. Educated at Scotch College and a local resident born and raised in the south-eastern suburbs. Keith brings with him an in-depth local knowledge of the area and experience to the table. Known for his diligence when pursuing a sale and also being able to communicate Chinese (Cantonese and Mandarin) fluently, he has a reputation for maintaining an active database of potential local and international buyers. Extremely reliable and accomplished, Keith is a professional agent respected for his ability to achieve premium results. Clients appreciate Keith's passion to deliver superior customer service through excellent communication, effective marketing campaigns and skilled negotiations to ensure outcomes are exceeded. Keith enjoys helping people to attain their goals and understands that buying and selling one of life's biggest assets can be a nerve-racking experience. He is a trusted advisor to call who is committed to make the journey exciting, while pursuing your endeavours. 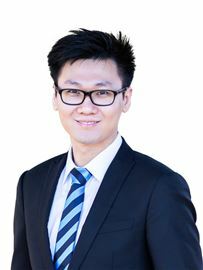 Vincent Weng has many years of experience in the position of sales executive before entering real estate industry and developing his career. Vincent is a strongly motivated agent who is driven to succeed as well as a passion for helping people to achieve their dreams and goals in the real estate. Vincent always believes that honesty, integrity and communication is the key factor to establish a strong relationship and achieves exceptional results for his clients. 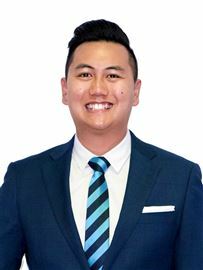 He is also fluent in English and Mandarin, this gives him a leverage to facilitate the communication within the local community and to service overseas clients. Johnny committed comprehensive customer service to attend to the needs of clients. In his mind, “clients’ satisfaction is our goal of struggling”.